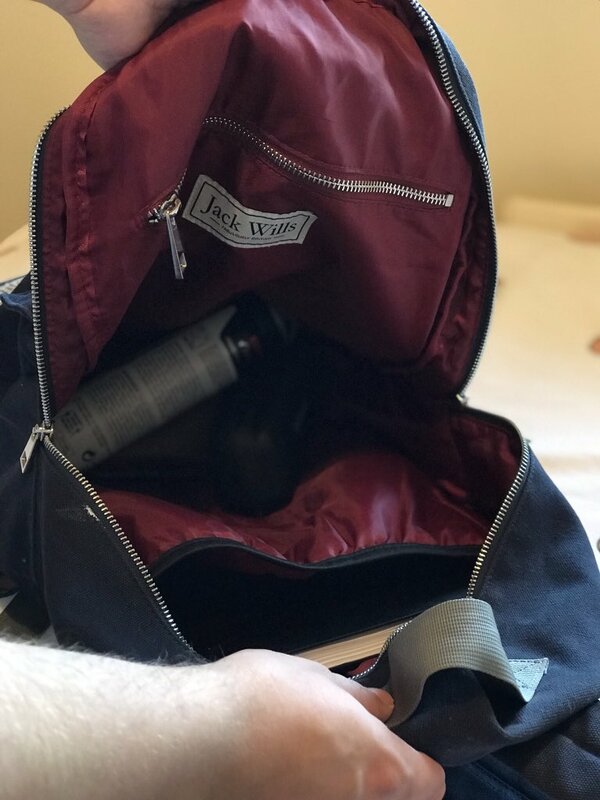 Edd Speaks: WHAT'S IN MY UNIVERSITY BAG? Hello! As it was getting closer to me starting University, whilst planning blog posts I was dying to do this as it's one of my favourite posts to read.. I guess you're just as nosy as I am *inserts laughing face emoji*. When writing this, I have just completed my first week and I have loved it, I don't know if I spoke about this in my last post but I've been out of education since I was sixteen and I knew that this is what I wanted to do, it was my choice to go and I felt at school it was like there was no other direction for you to go in.. One of my frequently asked questions from my teachers were 'Which University are you planning to go to?' and I had no plans to go. I'm excited to work hard and work towards something as I've been working and haven't had any academic goals and this is has made really look forward to working hard and setting myself some goals within education. So anyways, whilst packing my bag for a day of lectures tomorrow I thought I would give you a little insight into what I take on an average day. Obviously this varies a lot depending on what course you're studying and there will be things that some people will have to take that I don't, this is what I've found that works for me at the moment! When choosing a bag for University, I wanted something that is going to be very practical (for obvious reasons!) my checklist was that it would fit everything in and I wouldn't feel like I have a suitcase attached to my back. I found the perfect one from Jack Wills (you can view their range here!) 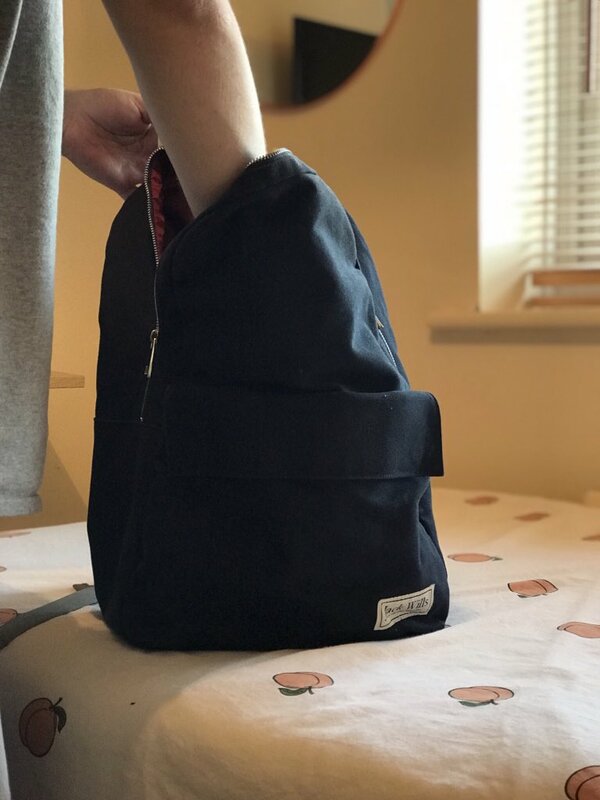 which I fully recommend to anyone that is looking for a bag that is very spacious and has compartments for everything you will need. this is an essential as you're gonna be making lots and lots of notes. I picked one up from Wilko and it was about £1-£2 and it does the job. I have only brought one at the moment but I can just pick another one up when it gets full (the way things are going, that'll be pretty soon!) I've decided to leave all my folders at home and then just slip the notes into the relevant folder when I get home. I've found this to be a lot easier than lugging around all my folders for my different lectures. Obviously this depends on how many other commitments you have but I've found that a planner for the week makes me so feel much more organised! I have found jotting down everything in the same place has changed my life (dramatic but true) so I know where I am and which day I am doing what. I picked this one up from Urban Outfitters but they do them at lots of places. Pens, pencils and all that jazz! Disclaimer: Links on this page are affiliate links, which means I receive a percentage of the revenue made from purchasing products through the links placed on my blog. This does not affect you as the consumer OR the price of the product.